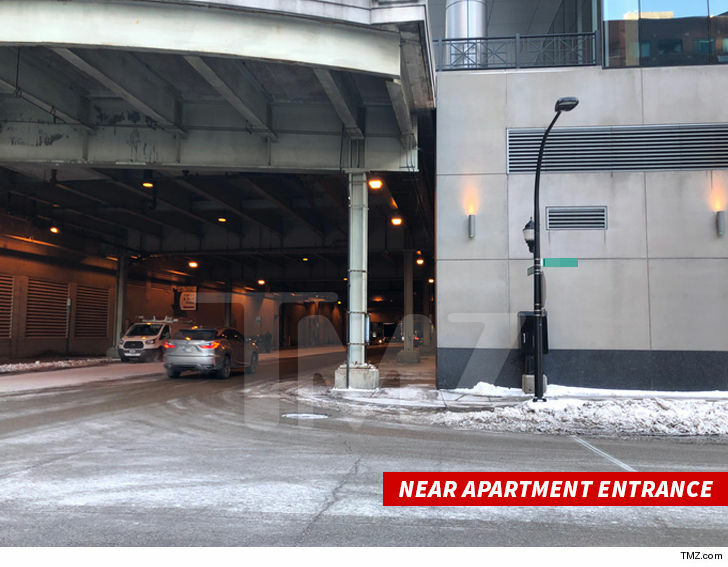 9:45 AM PT -- Police confirm to TMZ they have video of Jussie with rope draped around his neck as he walks through the lobby of his building. That video was captured by a building surveillance camera. 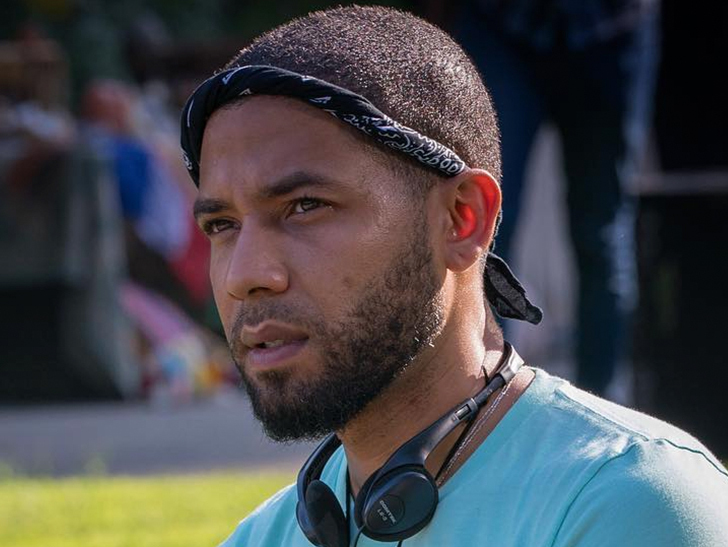 A woman who lives in Jussie Smollett's apartment building told cops she saw a suspicious man -- whom she said looked like a "redneck" -- loitering just outside the entrance to the building an hour and a half before Jussie says he was attacked. The woman -- who asked us not to use her name -- tells TMZ, she walked out of the building at 12:30 AM Tuesday to take her dogs out and saw the man near the door, pacing between the parking garage and entrance, looking agitated and smoking a cigarette. She says, "He looked out of place." 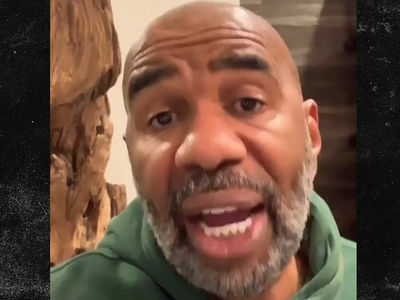 He was a white man with scruff on his face wearing a blue winter beanie, a blue zip-up sweatshirt with a hood and blue jeans that were too short, exposing "thick, grey hunting socks" with camel-colored dress shoes. She says she got "creeped out" by the man, and after 5 minutes she retreated back into the building. The woman says she went to sleep and woke up at 4 AM to go to the gym, and noticed a lot of security. She says the concierge told her Jussie was attacked, and when she told him what she saw, the concierge implored her to call a detective and gave her two phone numbers. She made contact that afternoon and downloaded a detective. 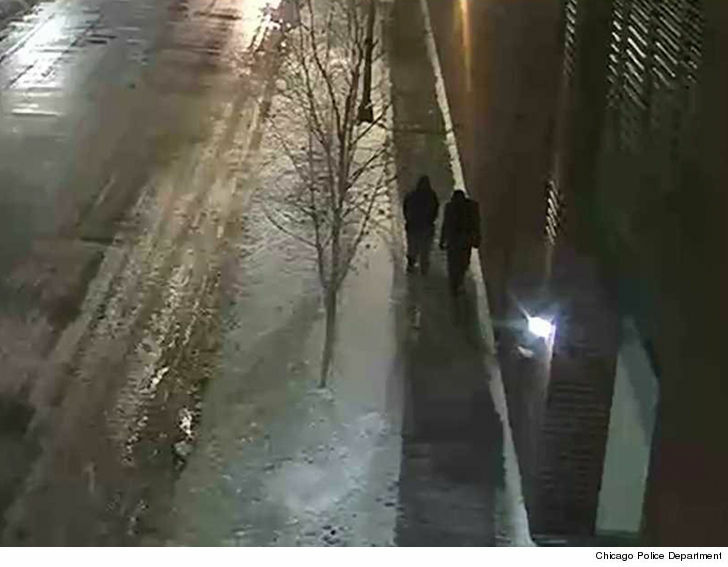 As we reported, cops have released photos of 2 persons of interest. We do not know if one of them is the person the woman saw. Chicago PD sources tell us they have looked at numerous videos in the area in question, but have not seen any footage of an altercation.